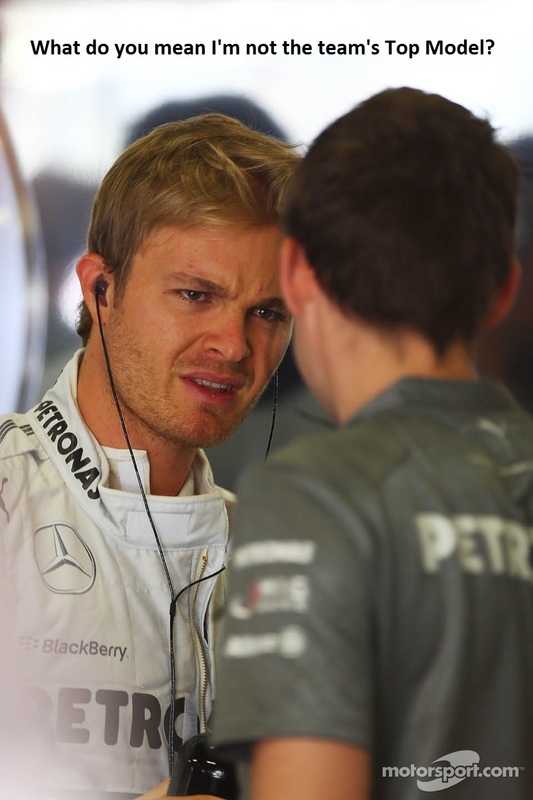 Ever since I knew about the Hamilton-Rosberg pairing at Mercedes I had been hailing it as the best looking team in F1. As a result, I was extremely pleased when Simon Lazenby made a similar announcement on Sky Sports’ F1 coverage awhile back. Unfortunately I can’t remember exactly which race that was… as my brain is a mush at the moment. I was even conceited enough to think that perhaps he had drawn this “inspirational” comment from somewhere (you know… like this blog). LOL. Indeed, how conceited of me. Apparently Lazenby got this idea from his wife… and well, I do have to say it isn’t an overly original idea. Although I have been saying this ever since last year… so at least I was first? LOL. While a little late, some new content will be up soon. I thought about explaining the lack of updates, but decided that in the end, this blog is not about me. As such, I do not want to add overly personal content this blog. So yeah… good things come to those who wait. Georgie Thompson’s role in the Sky Sports Sky Pad is probably to serve as “eye candy” for the male viewers. Cause she doesn’t really add any valuable comments or insights. 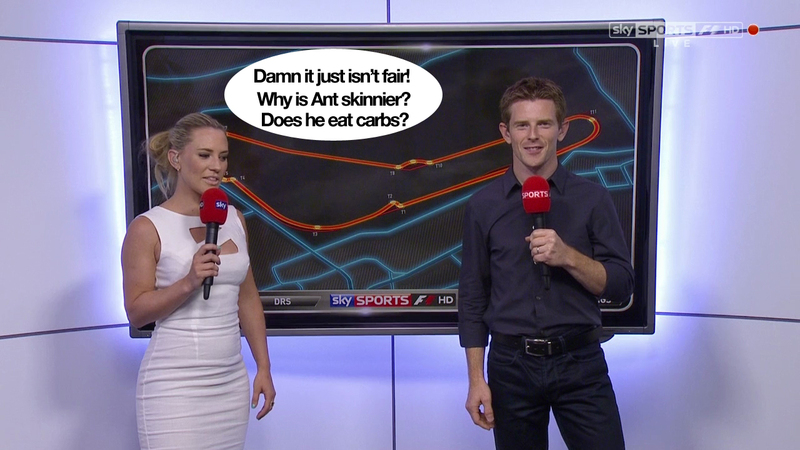 In fact most of her comments are so meaningless I might as well be up there with Anthony Davidson. However “eye candy” is relative and I don’t find Georgie to be eye candy at all. Don’t get me wrong, Georgie isn’t ugly, her clothes are ugly. As I’ve pointed out on my screen cap, there are many things wrong with Georgie’s look. First of all, her hair was HORRIBLE. Don’t they have hair stylists over there at Sky Sports? Come on, Lee McKenzie would never appear on the BBC looking so haphazard. It was just a mess and Georgie looked like she rolled out of bed 15 minutes ago, freaked out, grabbed the nearest hair tie (which happened to be YELLOW by the way), put her hair up and ran to the studio. I’m pretty sure both men and women can agree that Georgie’s dress was simply horrible on many levels. The cutout bodice was sort of strange. While the cutout does drew the eye to her bust, the shape was reminiscent of a “no sign.” Such as NO SMOKING. Or NO PARKING. Basically any sort of sign with a slash through it. In other words, please do not replicate this look. Ever. Just don’t do it. And the dress was too tight. WAY too tight. It was so tight, Georgie’s muffin top was bursting through (gross, I know…). Wrinkling and ripples in clothing are key indicators of poor fit. It means the clothes are too small for your body in a certain area. Sometimes the clothes will pull in such a way that it will look like arrows, pointing to the area of poor fit (such as the crotch!). In Georgie’s case, all of the ripple action is happening at the waist and hips. While the dress fits at the bust, it is pretty much saying “Georgie your waist/hips are too big for me.” The reason why the dress ripples is because the dress is shifting up to accomodate Georgie’s waist/hips. Does that make sense? If her hips were smaller, the dress would be able to hang straight and there would be no wrinkling. We live in the times of disposable clothing, fast fashion, and sales sales sales. As a result many people end up wearing ill fitting clothing. Think about it. 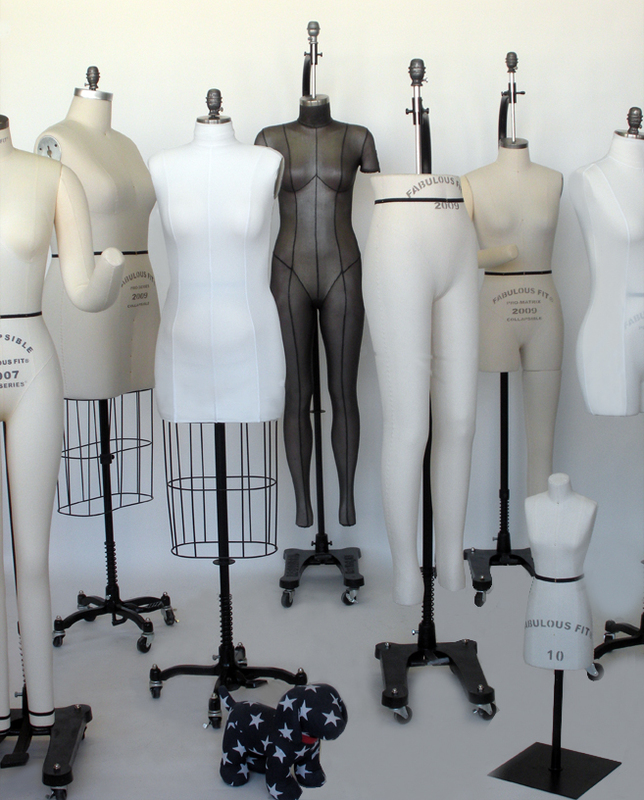 Everyone’s body is different, so how can there be a “one size fits all”? In fact, how ARE sizes determined? Well, it’s a little complex and a little bit of history is needed. Mens’ clothing size was first standardized to facilitate the production of military uniforms and was based on chest size (sound familiar gentlemen? :)). It is assumed that all measurements are proportional (neck, waist, hips, and thighs) and that is the basis of mens’ commercial sizing today! Women’s clothing sizes became “standard” much much later. With the industrial revolution and new technologies, “ready to wear” became more accessible and popular. But sizing was all of the place back then as well so the U.S. Department of Agriculture conducted a survey of women’s body measurements to create a sizing system. 15,000 women were surveyed between 1939 and 1940 and after mining the data, a size system was created. The women’s system was based on bust measurement and sizes ranged from 8 to 38. The height of a woman was also taken into account (short, regular, and tall) and hip fullness (slender, average, and full). So how is this relevant to sizing today? To be honest, it isn’t! First of all, the survey was skewed. Those who participated often needed the money from the survey, and those who needed money tended to be slim and at times malnourished. Data from factory workers who were more fit than the average woman at the time were also gathered. Measurements from non-whites were also discarded. In other words, the data from this survey was not really representative of the population at the time, let alone now! The modern women’s sizing system is still derived from this outdated survey*. Why is it that different brands have different sizing? Well, it’s about brand image really. A brand will cut its clothing based on the image it wishes to project and the brand’s target demographic. Therefore as a customer, choosing your clothes is a bit like choosing your identity. Which brand do you identify with? Which brand is representative of your lifestyle (or the lifestyle you aspire to have)? Etc. Get it? It all comes down to marketing. Sad, isn’t it? So why don’t my clothes fit? One of the most popular subjects on this blog is the F1 WAGs. Though I haven’t done that type of entry in quite awhile. I was considering replicating some of the F1 ladies’ makeup looks. It wouldn’t be a youtube video because good lord, I’m even less HD ready than Nico Rosberg. Instead it’d most likely be photographs with the format blatantly stolen from Japanese magazines. Would it be a good idea? Bad idea? These shoes were made for… driving? 1. Assuming that the driving shoes are only used for driving (and not walking about), the car interior will be kept cleaner. Muddy or sandy shoes could be placed in a bag in the boot (or passenger seat). 2. For the high heel wearing folk, driving shoes make things infinitely easier. The seat will not have to be adjusted to accommodate the heel and subsequently lengthened leg. I don’t know about others, but I have found it quite necessary to adjust the seat when wearing platforms or a heel that exceeds 3 inches in height. 3. Your “nice” shoes will be thankful, especially suede and patent leather shoes. By wearing driving shoes, your nice shoes will be saved from scuff marks. Which brings me to the meat of this post (AT LAST. Praise the Lord, I am long winded today)… a Tod’s x Ferrari collaboration has come to my attention. These have actually been out for quite awhile, YEARS in fact. Forgive me, but I don’t really pay attention to Ferrari products (quelle horreur~) nor Tod’s shoes. 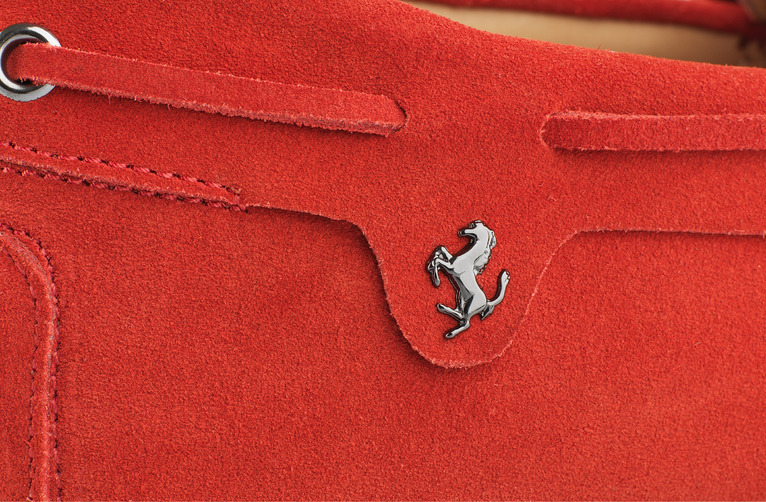 The Tod’s x Ferrari driving shoes range in price depending on the material ($365USD – $428USD on ferrari.com). They are also available in a small selection of colors including obnoxious Ferrari Red. The insoles are also Ferrari inspired, though the inspiration varies from model to model. Let me know what you think about driving shoes in general and these Ferrari babies as well. 😉 For those that do wear “driving shoes”, what do you think about them? Would you consider designer or racing ones? I have been away from blogging for various reasons (I kind of have a real life… only sometimes though!) including laziness. 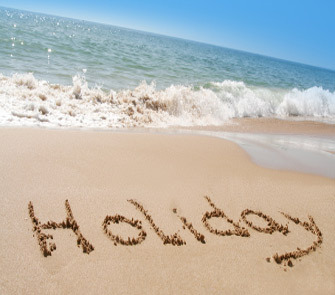 And if you follow me on twitter, you will know that I have been on a long holiday of four weeks. Well, it’s quite long for an American anyway. Europeans are far far luckier!